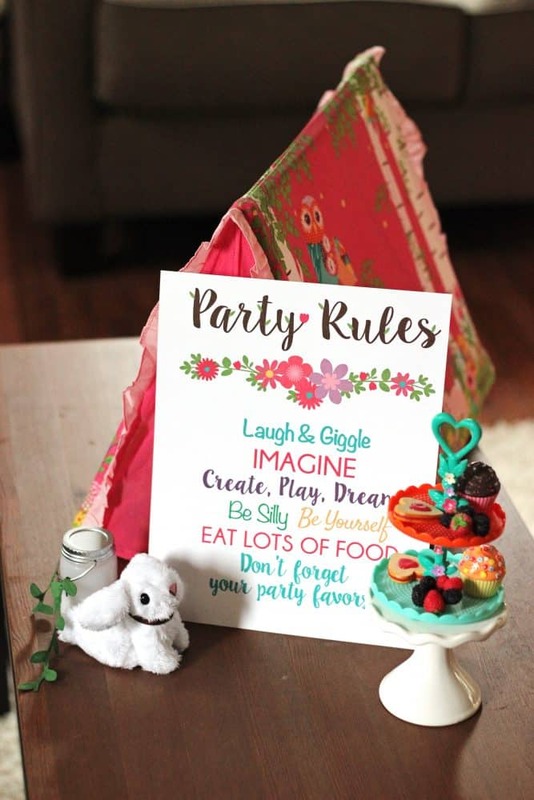 Use these Wellie Wishers printables and ideas to create an epic Wellie Wishers birthday party for your child. 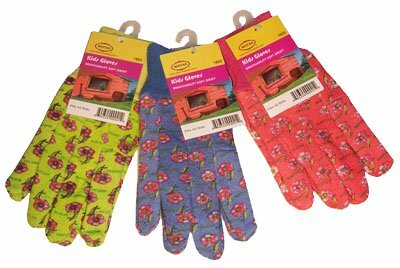 Or be like us and have a Wellie Wishers party for your next playdate! No need to wait for someone to turn another year older. 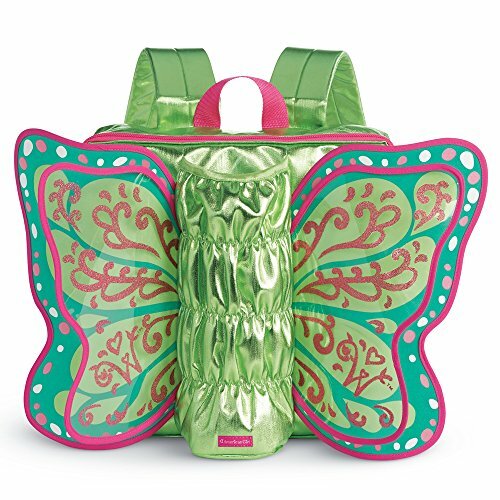 Sweet T has wanted to host a Wellie Wishers party (playdate? tea?) 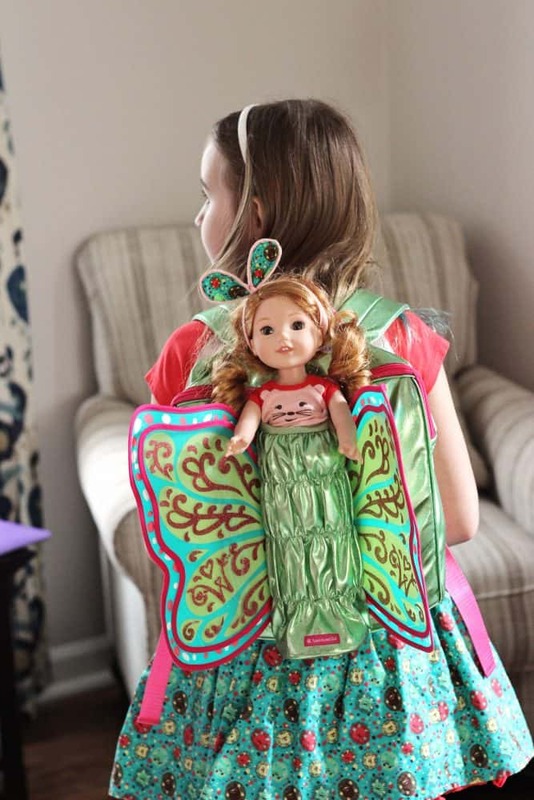 ever since she found her BFF also had a Willa doll and a host of accessories. So today, we kicked off spring break with a Wellie Wishers party for two. 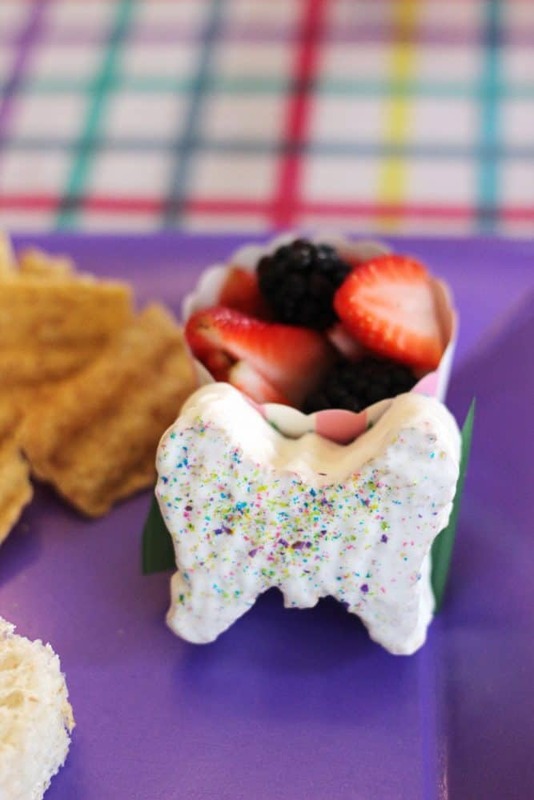 This Wellie Wishers party is more of a Dollar Tree party than a Pinterest one, but considering I was able to throw it together the morning of and spent only around $20, I think it turned out great! The girls certainly had a blast. 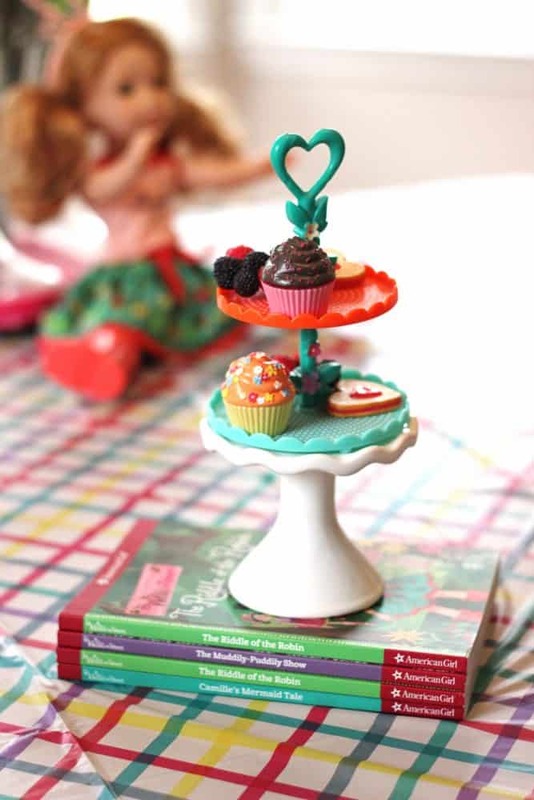 Use our ideas as inspiration for a Wellie Wishers birthday party or just host a little playdate or tea party like we did. 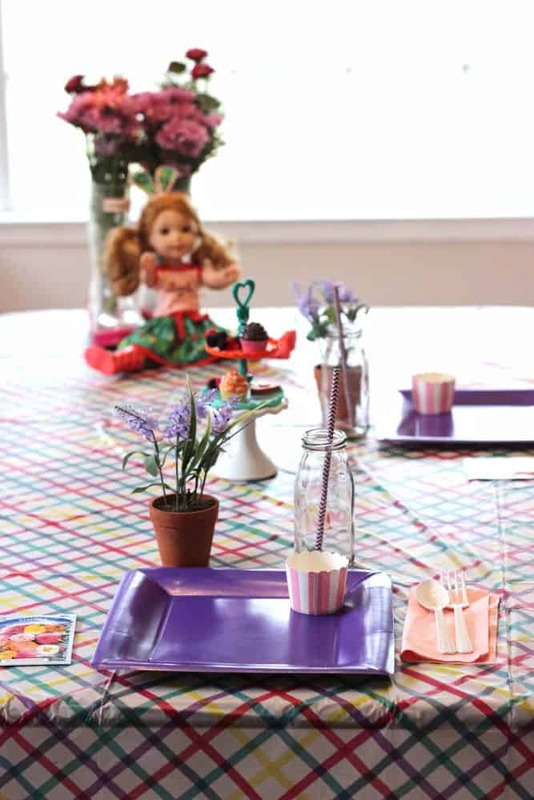 A Wellie Wishers party is definitely a fun way to celebrate all things spring. 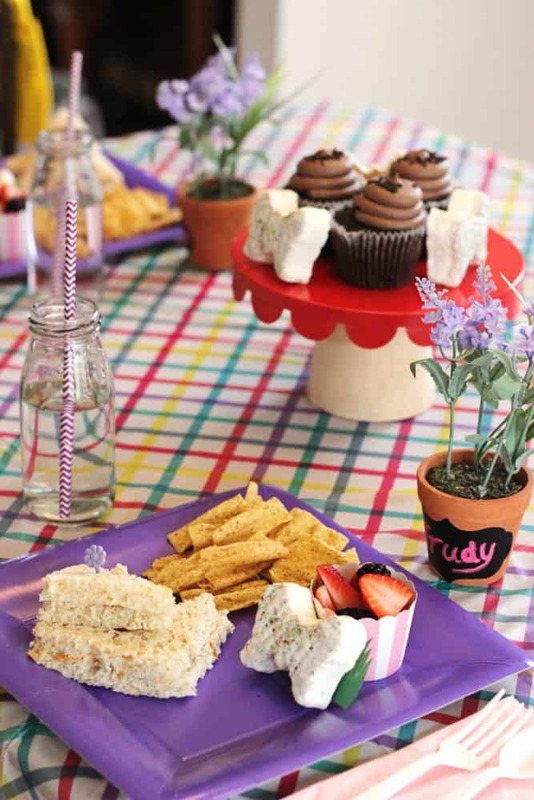 We kicked off our Wellie Wishers party with lunch to get the girls sugared up and ready to play. 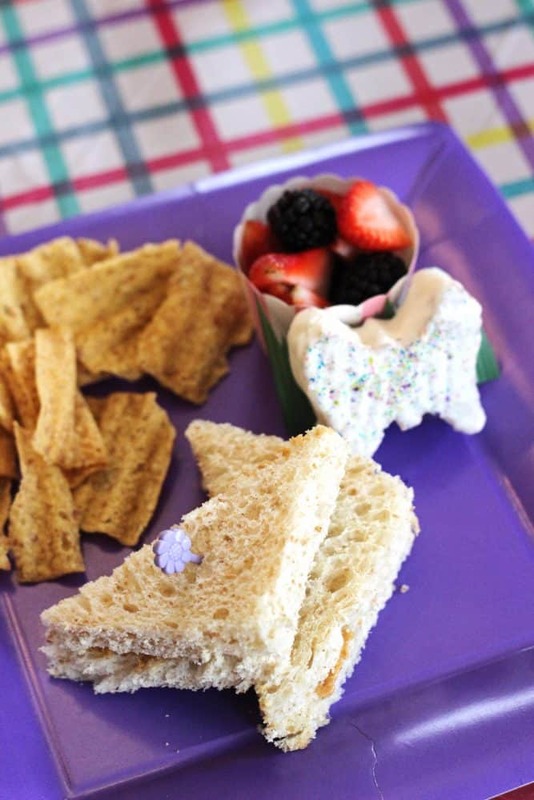 Peanut butter sandwiches, fruit cups, Sun Chips, and Little Debbie butterfly cakes did the trick! 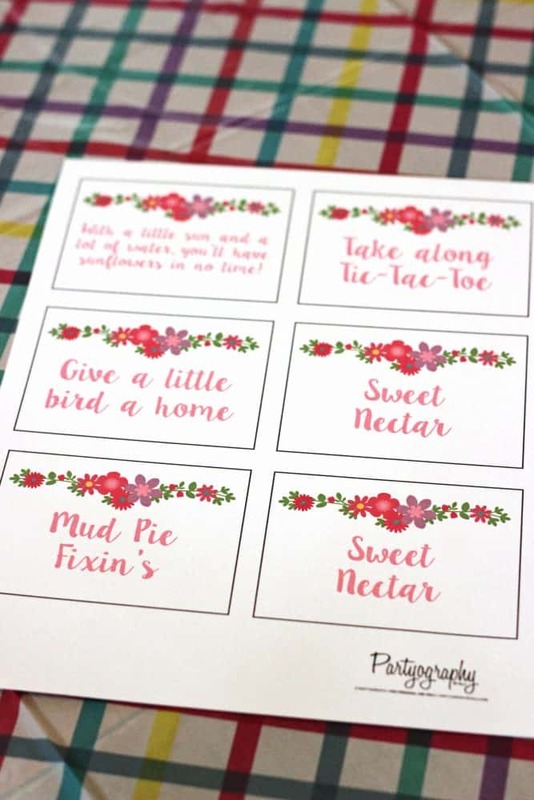 Dollar Tree potted plants and some chalkboard stickers I had on hand made for cute place markers. Sweet T was most excited to just enjoy free play with her bestie and their dolls, so I didn’t play too many activities. 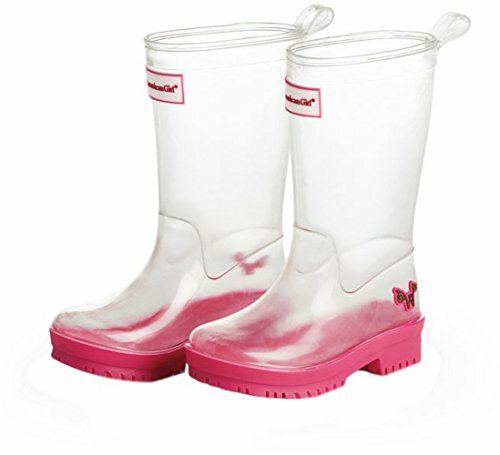 You can find this Wellie Wishers printable to design your own wellie on the America Girl website. 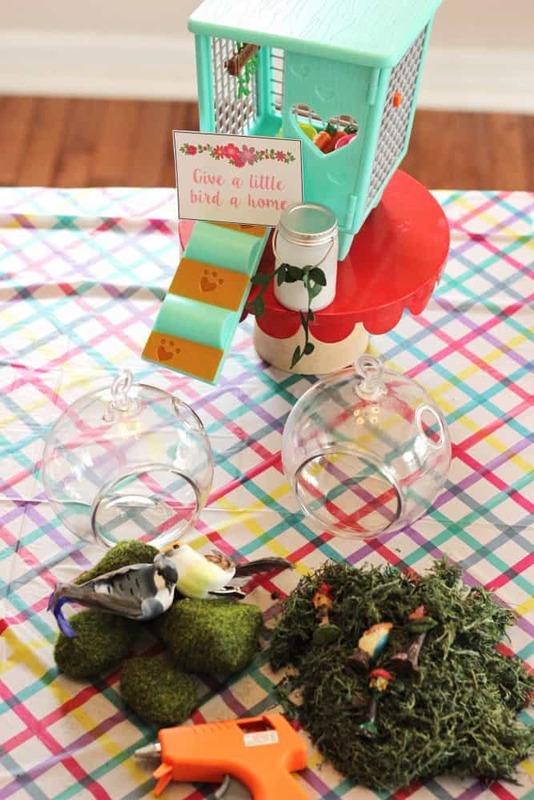 I took inspiration from Alli’s fabulous Wellie Wishers birthday party and had the girls make birdhouses of sorts out of Dollar Tree terrariums and crafting materials. 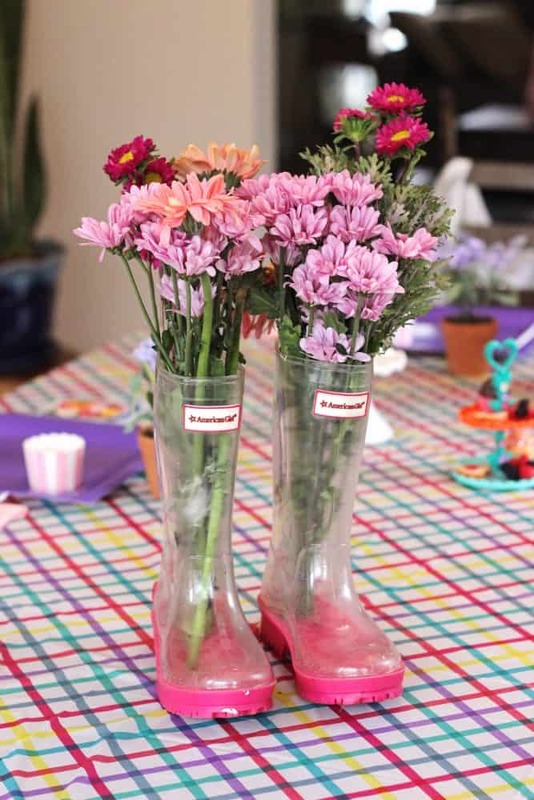 We wound up not even needing the hot glue gun for this Wellie Wishers craft. Sweet T named her bird “Banana Pudding.” Everything around here gets a sweet treat name including kitty Fudge. 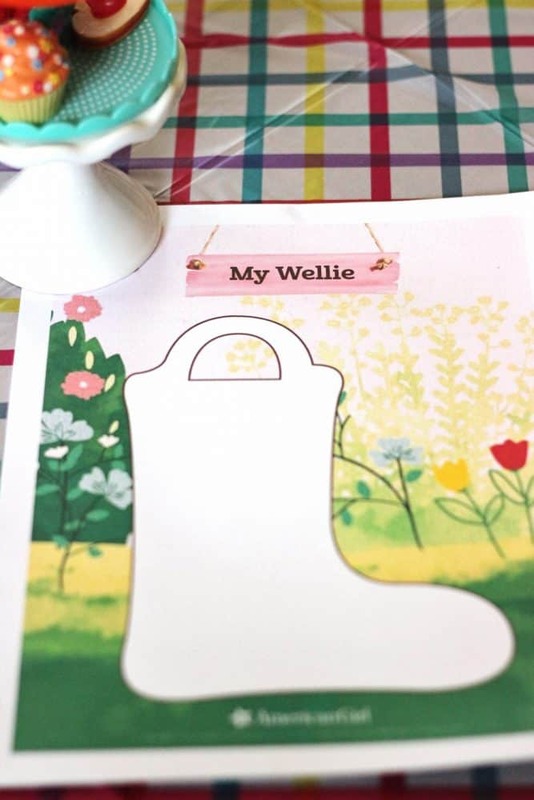 Click the image below for these adorable Wellie Wishers printables for your party! 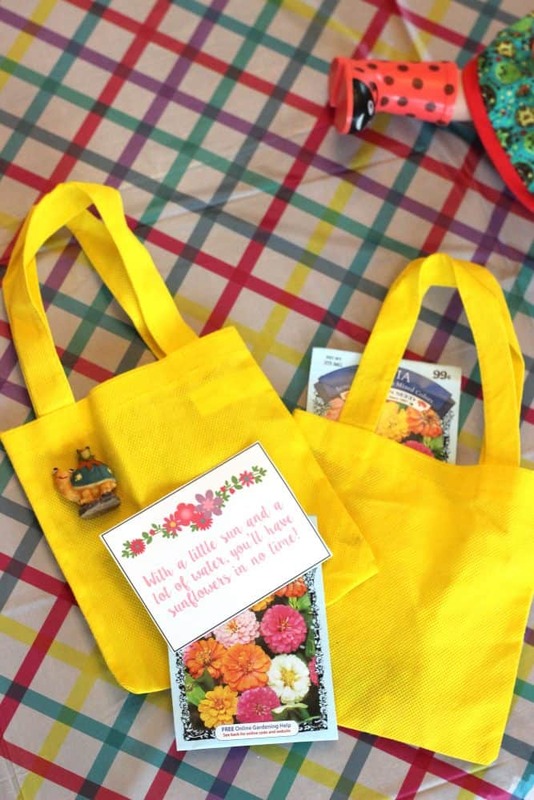 I made treat bags using little canvas bags from the Dollar tree, the Wellie Wishers printables from Alli, and seed packets + fairy garden figurines also from the Dollar Tree. 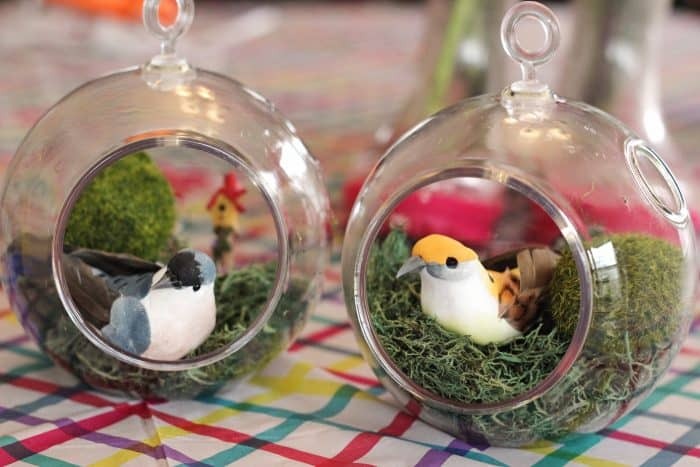 You could even make bag decorating a party activity if you wanted to. Our playdate guest became part of the decor herself! 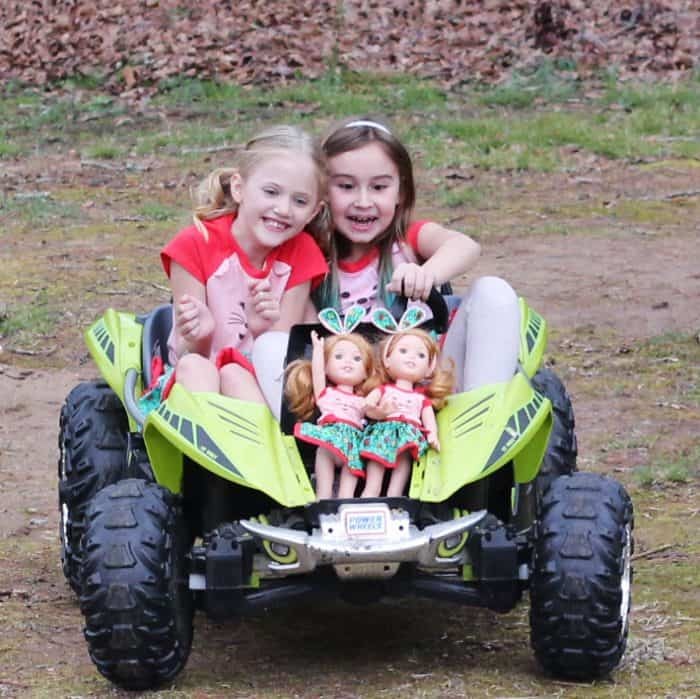 Dolls and dune buggies! 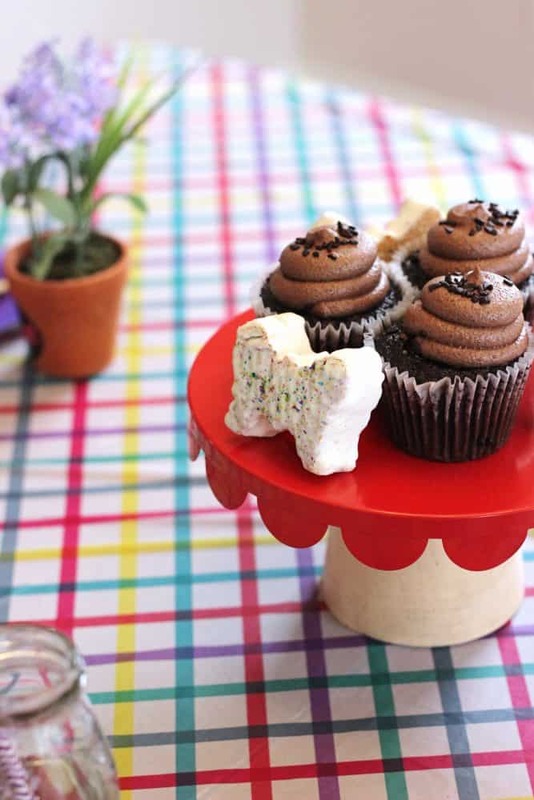 Our first day of spring break was a memorable one thanks to our Wellie Wishers party. 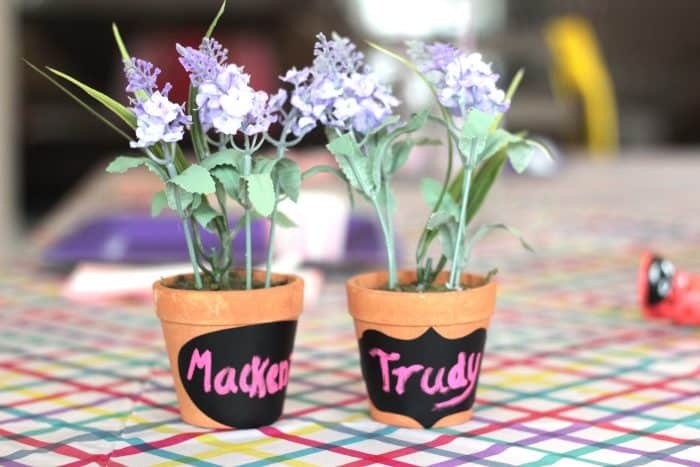 « Religious Easter Crafts for Kids: Make a Resurrection Garden and More!